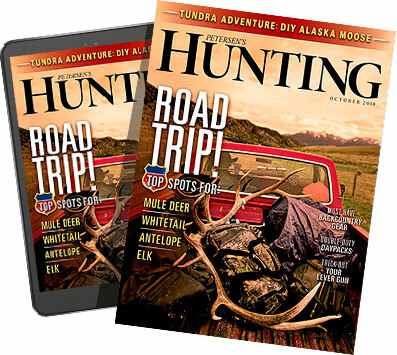 Stop by your local hunter-friendly coffee shop anytime between October first and the end of the November and all anyone is talking about is "The Whitetail Rut." "I can't wait for the rut." "The rut has not kicked in yet." "The rut is late; we need colder weather." "The rut has already passed due to the full moon." Well, I'm here to tell you much of the hype surrounding the actual rut (and lack thereof) is a combination of folklore, myth, and excuses for why guys aren't killing deer. No doubt, the whitetail rut is the Super Bowl of the hunting world, and some of the biggest bucks killed each year happens during what most folks call the rut, but in all likelihood, this is actually the pre-rut. When it comes to the actual rut, the peak deer breeding time, the woods go awfully quiet. Regardless of the specific timing, here are three setups that will put racks on your wall and meat in your freezer — no matter if it is the pre-rut, peak rut, or post-rut phase. A lot of folks look just at their favorite patch of hardwoods when bucks start chasing does, but a big open field of long grass, like a CRP field, can be DYNO-mite! It is surprising how many deer will spend 90 percent of their time in a CRP field as long as they have food and water close by. Don't underestimate open fields when hunting. Bucks can appear at any time, searching for or running hot does during the whitetail rut. During the day, a CRP field often looks devoid of life, but watch it in the morning and evening and deer just seem to materialize, rising from their beds in the long grass. During the pre-rut, I have watched great bucks working CRP fields for hot does like a bird dog trying to figure out a pheasant. Sometimes this searching behavior will go on all day as does get close to breeding season. The key to setting up a CRP field ambush is to pattern the does and set up for that cruising buck. If there is a low swale that funnels deer or a fence crossing point that the does regularly use, set up on the downwind side in a ground blind and get ready to drop the hammer on that old boy when he comes sniffing past. A good technique here is to employ a doe decoy as well as a copious amount of doe-in-heat scent. Setting the decoy along a field edge near a treeline will make it visible for hundreds of yards and help funnel deer toward your location. I usually avoid deer bedding areas like the plague, as I don't want to run deer out of their sanctuary and onto a neighbor's property. But when the actual whitetail rut hits and the does are accepting of a buck's mating advances, the woods will go quiet. If you hunt your normal spots, you would think bluetongue had ravaged the woods and there isn't a live deer for a hundred miles. But the bucks are still there; all they have done is herded their receptive doe into the thickest, nastiest cover they can find to keep her locked down (as well as away from other curious bucks vying for her attention). So how to get at them? Well, this is the tough part, and an approach often depends on your patch of woods, but if you decide to hunt the sanctuary, plan on it well ahead of time. Go in early in the year, hang a stand higher than normal (to keep your scent above the area), and make an easier path to access the stand without disrupting the area too much (i.e., light brush trimming and moving big branches), then leave it. Don't be tempted to hunt it, run game cameras in the area, or even visit the location again — not until the rut causes deer to lock down. When you do, go in as scent-free as possible, well before first light, and be prepared to stay all day (until after dark) before sneaking out. It is a stand that should be hunted only a couple of days a year, but under the right conditions, it can pay off handsomely. Success during any phase of the whitetail rut comes from proper planning. This is no secret, but after the whitetail rut winds down, deer are plumb wore out. Think of your younger buddies who can do nothing on Sunday morning but eat delivered pizza and lie on the couch while watching Sports Center — they are the epitome of the post-rut buck. After a month or more of chasing every doe in the county, a mature buck is in bad shape. He needs food and rest, and the closer those two places are, the better off the spot will be. Protein is what is called for, so if you live in the Midwest, search out any remaining crops; still-standing corn and leftover soybeans reign king here. If there is no remaining high protein food sources, hunt food plots. If the food plots were large enough to begin with, or if deer were kept off of them in the early season, there will still be enough high-calorie food available to draw deer. While you can whack a buck off a food plot any time after the whitetail rut, the most productive time is going to be at last light — just like early season food source setups. Keep this in mind and hang stands well in advance of the season, utilizing prevailing winds typical for late fall/winter. Set ground blinds in the same fashion. Again, the key to late-season success is not making a plan after you strike out during the peak of the whitetail rut, but anticipating this in the summer and getting blinds and stands in the right place now. Come December, you'll be glad you did.